Feeling heavy, lethargic, fatigued, worried or a little down??? Its almost routine complaint of 90% patients. Why so??? Why its happening??? Like all living organisms, your body has a natural rhythm. At night, the body focuses on repairing, cleansing and rejuvenating itself, from its individual cells to its organ systems. At the end of this cycle, your body wants to unload the toxins that have been cleansed from the tissues and metabolized by your digestive system while you slept. It does this by evacuating the bowel and bladder first thing in the morning. As Per Ayurveda, poor digestion is the root cause of all diseases. Irregular elimination (known commonly as occasional constipation) can cause you to feel off-balance mentally and physically. You may think it’s not a big deal to skip a morning, yet regular elimination makes a huge difference in how you feel during the day. 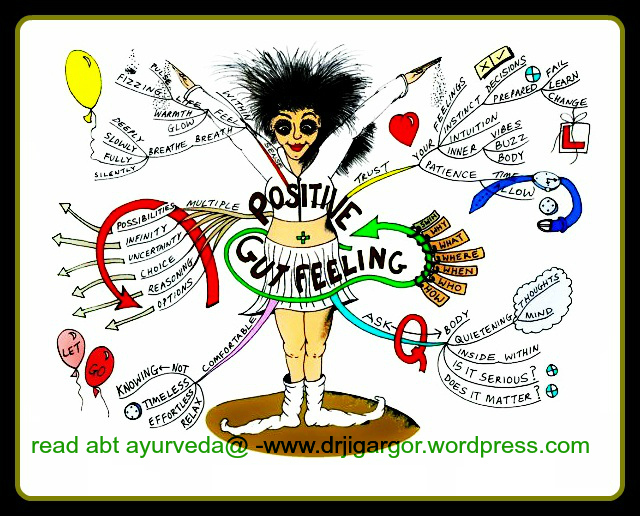 During the day, on the other hand, your body is in an active absorption phase, dominated by agni, the digestive fire. If you don’t have proper bowel and bladder elimination in the morning, the toxins that were cleansed from the tissues during the night get reabsorbed into the body. These reabsorbed toxins can result in lethargy, fatigue, feelings of sadness and, over time, weakened immunity. Regular elimination also supports cholesterol health. Since elimination affects your entire physiology (mind, body and emotions), you can’t neglect or ignore it. With a few changes in your diet and routine, you can get in tune with your body’s natural rhythm and make regular elimination a part of your daily routine. I encourage you to start listening to your body; tune in to how your tummy feels after eating and drinking. Try to notice how it reacts to "that particular dish" or "that particular drink" you had. Also, perceive how your body feels when you skip a meal or eat on the go. What we eat, when we eat and how we eat… matters a lot. Pay attention to your tummy!! Regularity in sleeping, waking, eating and elimination, indeed following a daily routine, and being disciplined helps to maintain the integrity of the doshas and good health.